2. Do I have to download and install any software? You don't need to download and install any software. DXshop is accessed through your web browser (Internet Explorer or Netscape Navigator). 3. Can I use my existing domain name? Yes, you can transfer your existing domain name to be used with your DXshop. There is a one-time set-up fee of $50 associated with this. 4. Do I need to know HTML to build my store? You don't need to know HTML. 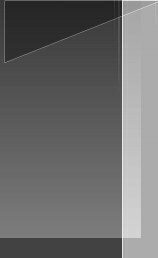 DXshop was built so that anyone can build a store using existing templates and by inputting information using a point and click interface. 5. What types of transactions can DXshop process? 6. 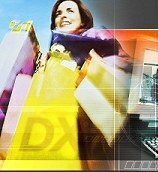 Can I do Credit Card processing with DXshop? Yes, DXshop is tightly integrated with DXGreenGate, DXStorm's own payment gateway solution, as well as a list of alternate payment gateways. DXStorm can assist merchants in obtaining merchant status for VISA, Mastercard, AMEX, Discover, Diners Club, and JCB. 7. How many products will DXshop accomodate? DXShop can hold up to 12,000 products in the database. 8. Do I need a secure server certificate? Our servers are certified through Verisign so you do not need to get one. 9. Does the store send an email confirmation to the customer after they have purchased something? DXShop sends out a confirmation email to the customer that contains a message configured by you and a line item description of what was purchased. You will also receive a notice that an order has been placed in your store. 10. What does the membership feature do? The membership feature allows you to collect the contact information of everyone that purchases through your DXshop and gives you the ability to email everyone in your membership database with any specials or promotions you may be having. 11. Does DXshop have an affiliate program? Yes. The affiliate program allows you to put a link on your affiliate's site and tracks traffic and purchases.